As Drew Brees looks to prolong his career as long as possible, he’s turned away from the NFL, to MLB pitchers for guidance. One source of help has been a childhood hero, Nolan Ryan. “Brees said he’s spoken to MLB pitchers about the similarities between their schedules, and one player who has offered guidance about his weekly habits is Hall of Famer Nolan Ryan,” Josh Katzenstein of Nola.com reported. Given where Brees is in his career, Ryan, who pitched into his 40s, is a pretty good person to seek advice from. Brees will turn 40 next January and is heading in to the 18th season of his storied career. Even in the modern era of extended careers, he’s beyond the point where most quarterbacks are either retired, or at least significantly slowing down. Brees noted that like most kids from Texas, he grew up looking up to Ryan. 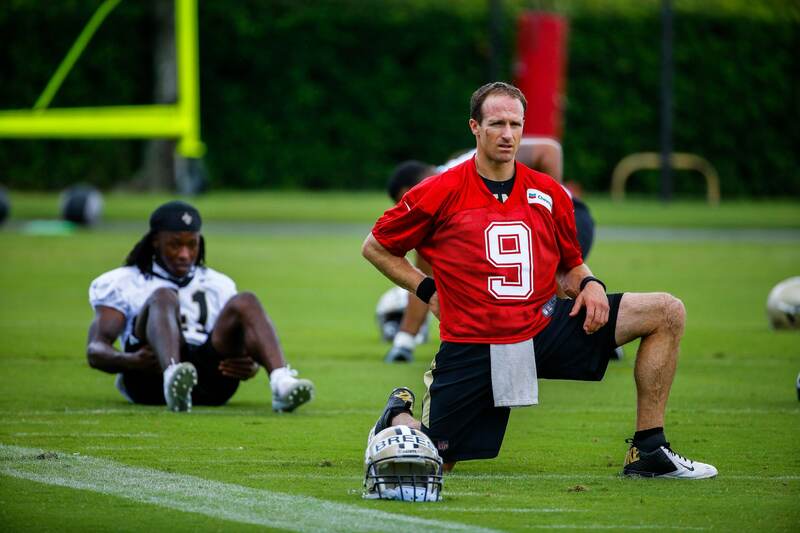 But in addition to looking up to Ryan, Brees also studied what Ryan did. Ryan broke into the majors in 1966 and threw his final pitch in 1993, at 46 years old. The bad news for Brees is that Ryan’s age-39 season in 1986 (3.34 ERA, 1.13 WHIP, 194 strikeouts in 178 innings) wasn’t great for his standards. The good news, though, is not only that Ryan pitched for seven seasons after, but pitched very well. Ryan won the NL ERA title in 1987 (2.76) and led his league in strikeouts from 1987-1990. So, there’s certainly a lot for Brees to draw from.